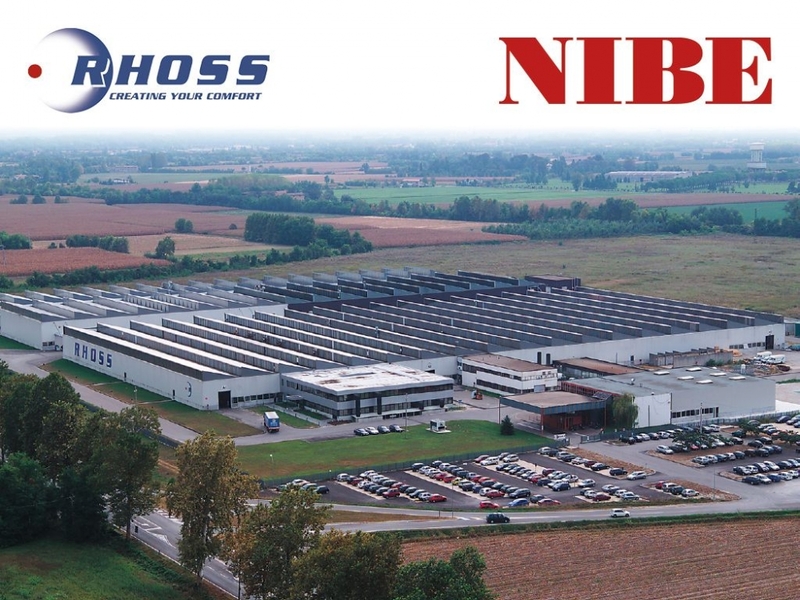 In November 2017 NIBEs Industrier AB acquired the 45% of stocks of Rhoss S.p.a., the company based in Codroipo, Italy. With the acquisition of the remaining 55% of the shares of the company, Rhoss S.p.a. will become part of the Swedish Group starting from January 2019. Till nowadays about the 45% of the turnover is focus on the Italian market and the remaining mainly on the other European markets. Nibe aims to bring the company to become a leading player in the sector and to make it grow thanks to the interconnections between the many other companies of the group. We are increasing our rate of investment in climate control of large properties and our presence on this interesting market via our own platform in Europe,” says Gerteric Lindquist, Group CEO of NIBE. The signing of the agreement, which was expected over a period of a few years, has been accelerated thanks to an investment and growth plan that convinced the ownership of IRSAP S.p.A. that NIBE was the right partner for the Friulian company, able to guarantee to its employees a solid future. Thanks to this transfer, the management and ownership of IRSAP have the opportunity to return to focus on the core and parallel business development. The development strategy, started in 2017 with the acquisition of Radco Heating in England and BEMM in Germany, involves the development of these two markets, and other important plans for the Eastern Europe. Instead, concerning the products development strategy, the resources focus will bring undoubted benefits to the residential ventilation and home automation businesses launched in 2014 and 2015, and which now will take new life to drive IRSAP into a greener and more connected future.